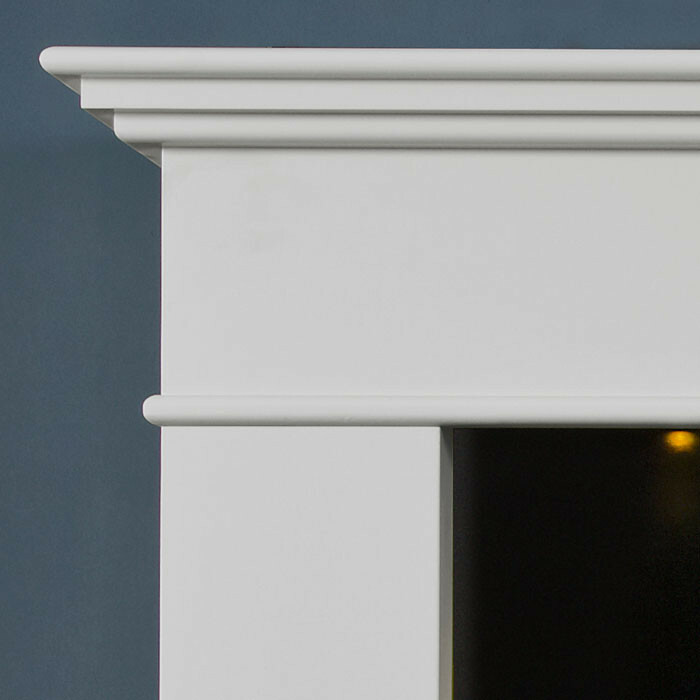 The Ultiflame VR Adour Illumia Fireplace by Celsi is tastefully designed and manufactured using premier quality boards, painted to a smooth finish. This suite features integrated LED down lights for a warm natural lighting effect. 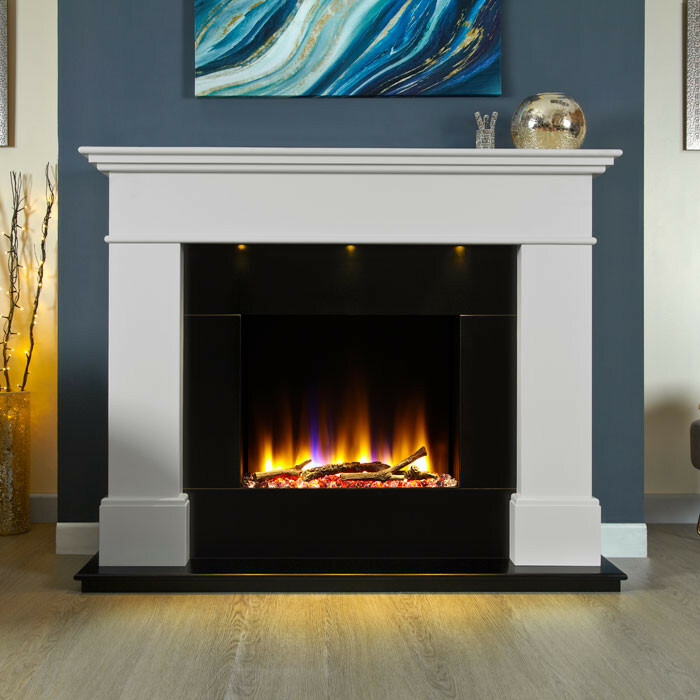 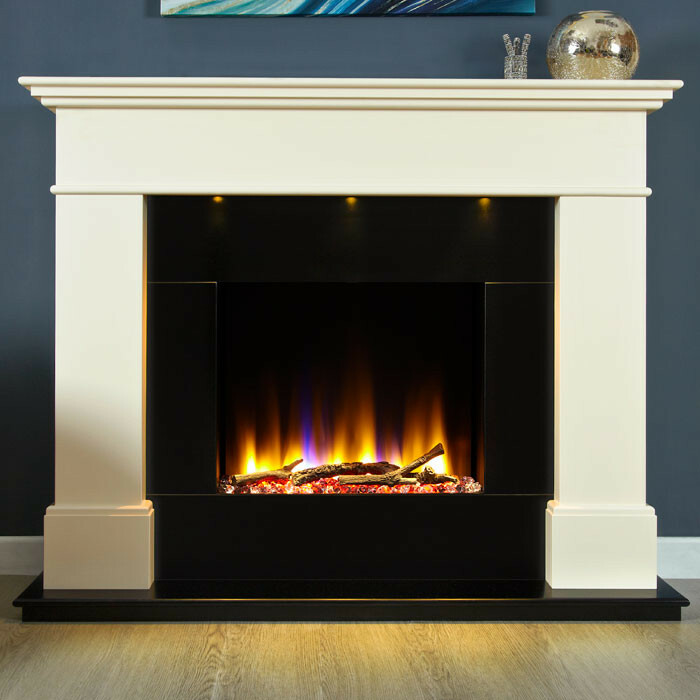 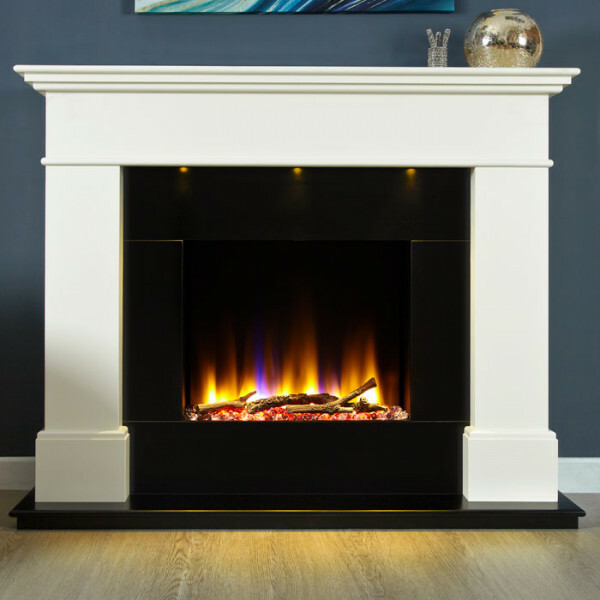 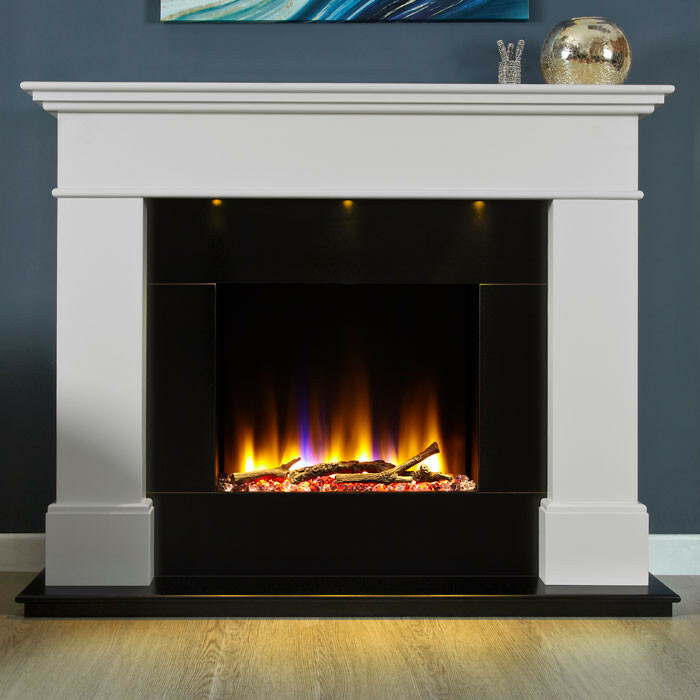 A 22 inch Ultiflame electric fire sits at the heart of this fireplace, the innovative technology provides a virtual flame experience through 3-Dimensional visual depth and realistic flame movements. 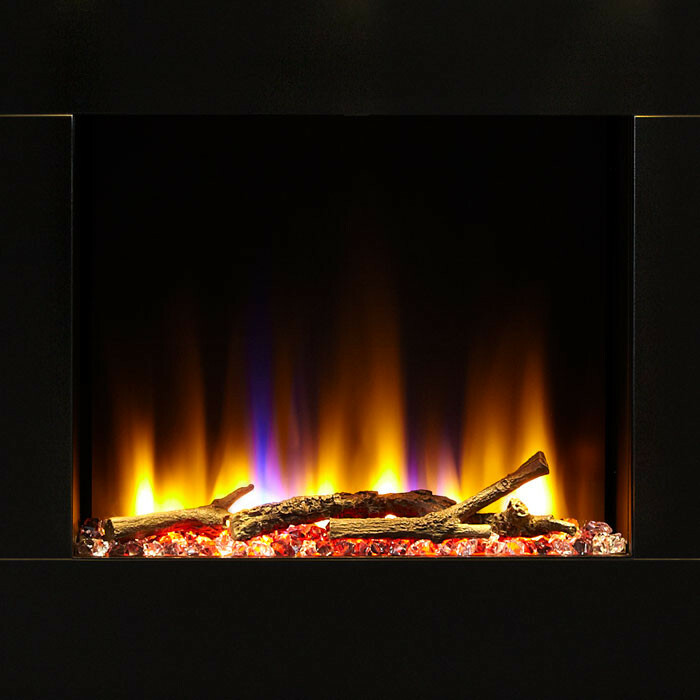 Its deep fuel bed has supremely detailed ceramics that capture the shape and texture of natural logs, this is placed over a perception of hot crystal embers. 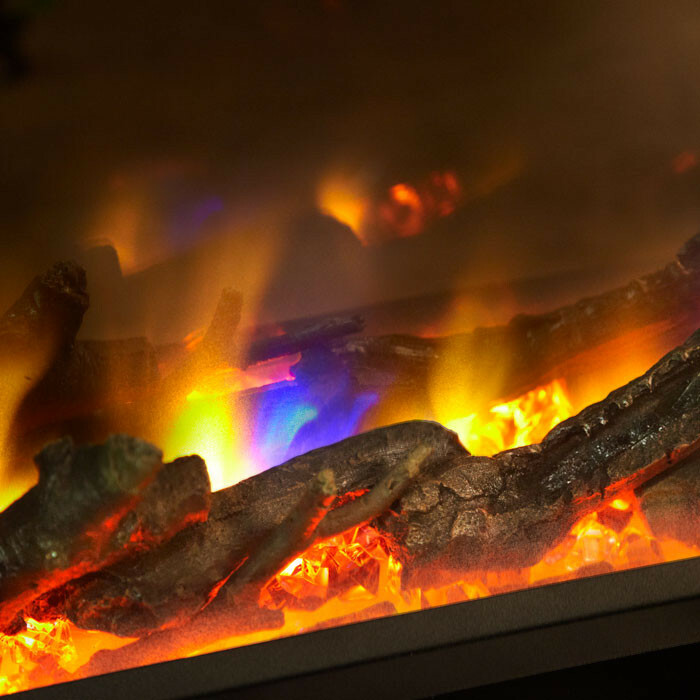 At the touch of a button, Ultiflame VR Electric Fire will stimulate your senses with a captivating visual flame display, whilst enjoying and relaxing in the comfortable warmth of a Virtual-Reality open fire experience. The Ultiflame VR Adour Illumia Suite also benefits from a simple place down and plug-in installation.